The third and last book in this series is my favourite. I’ve grown madly attached to the O’Donnell family and their little piece of paradise and I’m so sad to see this series end. Ronan’s story is even better than I’d hoped – the gruff and slightly miserable eldest brother meets his match in Hope, the producer of the television series about his family’s fishing resort. After his mother and later his wife left him, Ronan is terrified of relationships. He can’t trust women and his attraction to Hope leaves him confused and unsettled. Ronan is the quiet brother. Slightly anti-social, he took his responsibilities as the eldest seriously, taking on parenting responsibilities for Finn and Liam when he was far too young. Now that his younger brothers are settled, he is back in his family home, searching for identity and direction. Hope lost her parents when she was too young. Alone, she tries to be prepared for anything, but she isn’t prepared for the big, brooding Irish-Canadian man she needs to film. It is Hope who pushes Ronan. She challenges his aloof detachment and forces him to feel something. In turn, Ronan offers her a glimpse of family, community, and a place to belong. The relationship between these two is a wonderful slow, awkward burn. The chemistry is perfect but they are both protective of themselves and their hearts. Running alongside Hope and Ronan’s story is the story of the O’Donnell family’s struggle to revive their family fishing resort. Their efforts are captured on film by Hope and her team. The family desperately needs the publicity, but they are a private family with secrets they want to keep for themselves. More family secrets are revealed in this story and the relationships between the O’Donnells continue to develop. I loved catching up with the two couples from the earlier books and I loved seeing the family dream realised as the resort fills up and the TV show gains viewers. 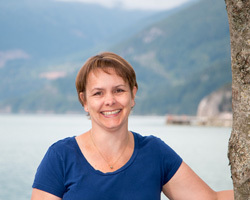 Once again, British Columbia’s beautiful coastal wilderness provides a gorgeous backdrop for the story. I have loved this series and I look forward to more from this author. This is the third book in the series – I would recommend that you read them in order, as although each one is about another brother, the timeline is continuous. I have to say that I enjoyed this one so much that I read it in one sitting – finishing at 3am! Something I did slightly regret when the alarm went off, but I wasn't prepared to stop reading. Ronan has been the deep, dark, and mysterious brother. We have learned, in previous installments, that he was the eldest brother and the one who took the brunt of his father's anger. He also took on the mantle of adult when their mother left, and sheltered both Liam and Finn from the harshest beatings. When he did leave, he married the wrong person and spent a long time trying to make it right, before finally divorcing. Now he is back, and whilst he is delighted that his brothers are now happy, he no longer knows how that could apply to him. Hope is coming to The Buoys to film a new series of popular Fishing TV programme. She does not expect Ronan to press all her buttons, physically and emotionally, and even less that he may feel the same way. We get to watch as the electricity between them forces them to connect. I loved her nervous habit of spouting strange facts, which make Ronan and the reader laugh and dissipate the tension. We have learned a lot about the men's fishing and tourism business in previous books, but watching it being recorded for the series brings another dimension. Add in a new pet, a hellish TV boss, and an unexpected secret being uncovered, and this is a very engaging read. I do hope that we get another installment, as there are lots of unanswered questions which I would love to read about soon. For reviews & more info, check out our Off the Hook post. For reviews & more info, check out our Lured In post. 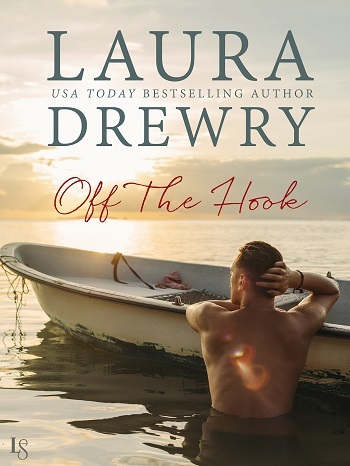 Reviewers on the Wicked Reads Review Team were provided a free copy of Catch and Release (Fishing for Trouble #3) by Laura Drewry to read and review.